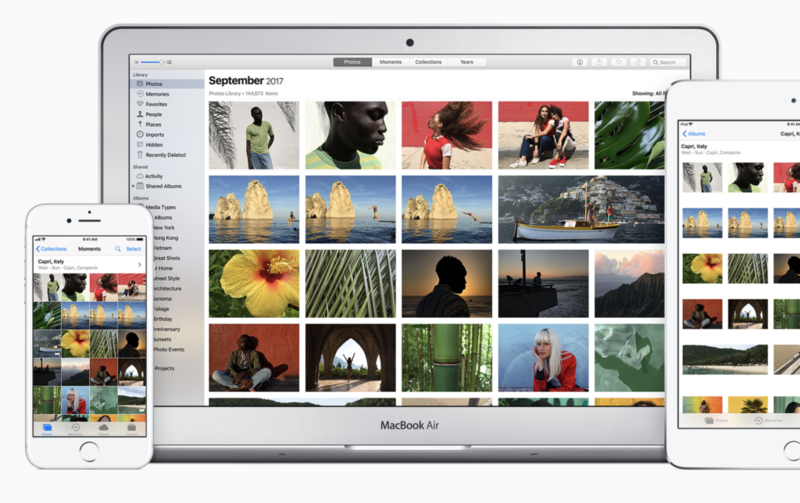 Apple’s macOS High Sierra is packed with useful little tools, like intelligent storage management and a space-saving new file system, but I wonder if anyone else has noticed a new image export shortcut that’s been added to Photos? Sometimes I like to export a few images from Photos to my Mac Desktop. I usually do this in order to share images online using services that aren’t included in the Share menu. At one time I needed to select the images I wished to use and then drag-&-drop them to my Desktop. It was a little awkward. Apple has made it easier. You’ll see a small icon depicting the first image you chose appear in the top right corner of the Photos app window. It also shows a running total count of the number of images you have selected. Keep choosing images till you have those you want, and you can now drag-&-drop those images to anywhere on your Mac by dragging-&-dropping that icon in the corner. You can also drag the thumbnail to one of your My Albums albums in the browser to add them to an album. It’s a neat little time-saving shortcut, and while it isn’t going to change the world, it may come in useful some time. I would love to see a “vacation mode” that would pause uploads through iCloud except for selected photos until I returned home or at least to a fast and unlimited data connection. Often my venues have slow internet or (currently) metered data (via satellite) and my photos and videos chew through the data. Hmm — You could try Settings>Mobile Data Scroll down the apps list and toggle Photos to Off, then your app will only upload to iCloud when you are on Wi-Fi. Does that work for you?